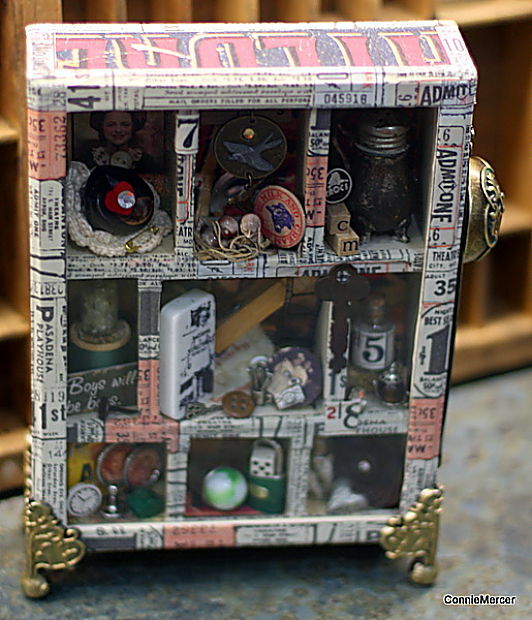 crafty goodies: My configuration box....is done! I have been at it all day but what a day!!! 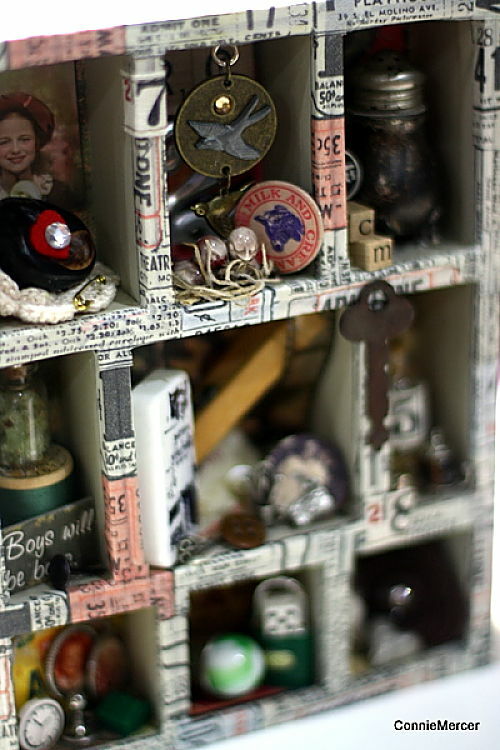 I took a picture without the top, of the Tim Holtz configuration box, on so you could see some of the cool "momentos" I have put in my box. That was the hardest part~finding just the right piece of "special" to go in the small space! 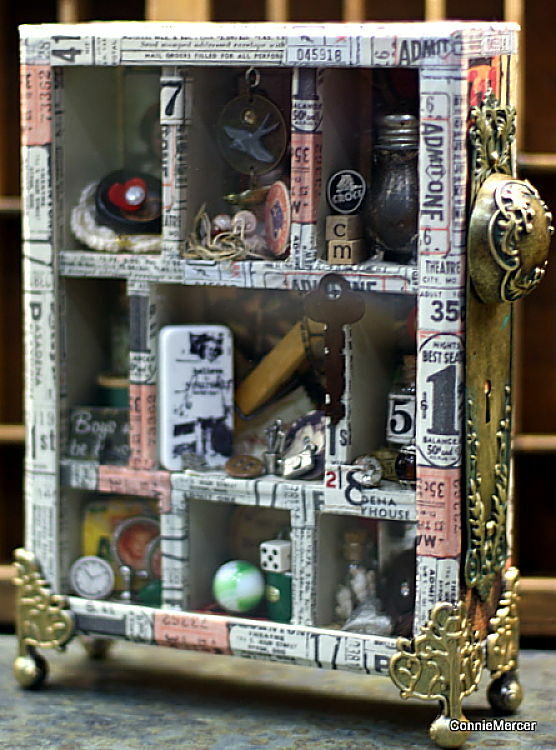 I used Jenni Bowlin paper, Tim Holtz tissue tape and Graphic45 decorative hardware, for the side of the box. Isn't that stamped domino just the cutest ever!!! I also painted the box feet with gold acrylic paint dabber by Adirondack. The hardware was easy to put on once the box was complete. I used Helmar adhesieve to adhere the feet and decorative knob. The decorative knob comes with a large brad attatched to the knob to help secure it to the project. This picture shows the paper on top of the box~I love the oranges, browns, and greens!!! These products work so well together~Jenni Bowlin, Tim Holtz and Graphic45!! I'm already thinking about my next configuration box~what about you? Thanks for visiting and have a wonderful day!!! Wow! Amazing job. I love are you findings and you put it together very well. I really like stamped dominos. A sweet friend made one for me that she made into a necklace. Your box is over the top gorgeous Connie! You did one ... of a job here!! Superb! okay connie that's just the coolest ever. i wishi had room for something like that. its like the shadowboxes of old with ATTITUDE. love all the goodies. yum! i want to thank you for commenting on my blog. i love comments! how fun that looked to do!! a great piece of art! Beautiful! This is fantastic! I love everything you used to finish it off. The brass on the outside? WOW. It just turns it into something spectacular. The baubles inside? Just perfect. Great great job. I love it. Wow, it's wonderful Connie! I love it. Fabulous box. So glad you finish, it turned out amazing! Wow, what a treasure! Every single little box is filled with the cutest stuff.